On the first day of Google IO 2017, the Mountain View company announced that its Daydream platform was expanding, adding capabilities for standalone VR headsets. 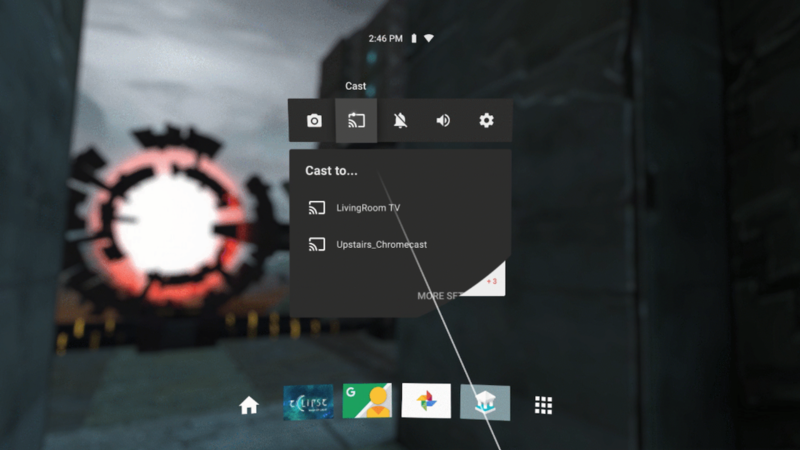 While current Daydream View owners may have felt a little neglected, that changed today: Google has announced a large new software update for Daydream called Euphrates is on the way. The focus of Euphrates is to make VR, which can feel awfully isolating, more social. You'll be able to capture whatever you're seeing in your VR device, and if you want to share it to a couple of friends lounging on the couch, you can cast it to your TV. Later this year, you'll also be able to co-watch the immense catalog of YouTube 360 videos in parties with friends. All of this will happen via a new, refreshed in-VR menu. You'll be able to see a couple of notifications from friends, click a button to capture the content you're watching, and choose where to cast your VR experience. You can already "cast" your VR experience with more high-end headsets, like Oculus Rift and HTC Vive through a "mirror mode" but it's nice to get feature parity on the low end, too. Google also announced Chrome VR, which will let you experience Chrome in, well, VR. It's pretty similar to what Oculus does with its VR web browser, but in this case you'll be able to carry over all your Chrome passwords and settings from your desktop or mobile version of Chrome. Simple. Finally, Google is looking to make mobile VR even more high fidelity and pretty. It's created a new technology called Seurat that allows developers to use a couple tricks to bring desktop-quality graphics to mobile GPUs. It even teamed up with ILMxLab to put together a Rogue One inspired demo. Euphrates will release later this year while Chrome VR will arrive this summer. Today, Google plans to release an experimental version of Chromium with AR support, so that developers can build AR experiences right into their websites.